The Worst: "The Rookie" (1990) In the wake of two small, personal movies ("Bird" and "White Hunter Black Heart"), Eastwood showed real rust copying the '80s vogue for brash buddy-cop movies: This one's just empty brutality, dumb jokes, thankless roles (poor Sonia Braga and Raul Julia), and hilariously awful thriller plotting. 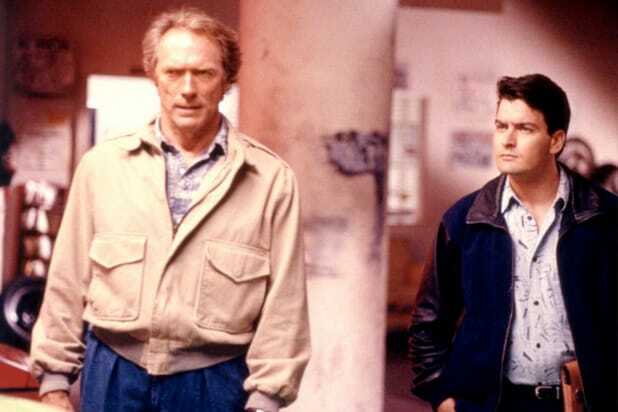 Eastwood seems bored playing another crusty lawman teamed with a newbie (Charlie Sheen), while the mayhem -- trashed bars, crashes, shootouts, explosions -- feels like the work of a caged genre icon lashing out. 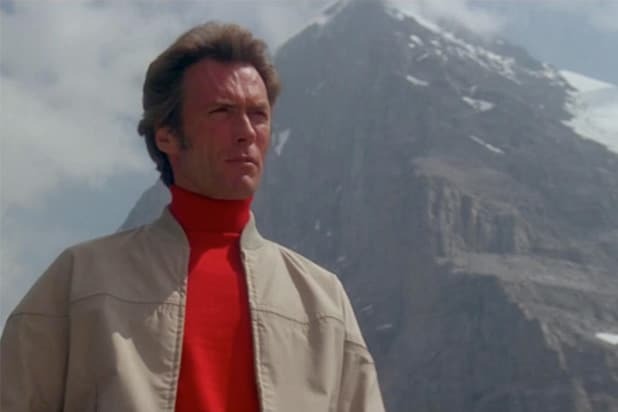 "The Eiger Sanction" (1975) A weird misfire for Eastwood, who's at a loss to make the cheesy espionage story work, and unconvincing on screen as an art professor-secret assassin in the Bond mold; he looks ready to burst out laughing having to do scenes with a cackling albino spymaster named "Dragon." (The less said about an African-American seducer named Jemima Brown the better.) Though the climactic mountain climbing sequence has its breathtaking moments, it's a clichéd slog till then. "Midnight in the Garden of Good and Evil" (1997) Eastwood's atmospheric strengths and underappreciated directing of actors eluded him in realizing John Berendt's best-selling nonfiction book about a Savannah, Georgia murder trial. It's an overlong checklist affair of clunky scenes and colorful players, but with little of the lived-in eccentricity rendered in the book. Even the good performances -- namely, Kevin Spacey and as-herself Lady Chablis -- are winking wind-up toys rather than emblems of an exotic, enchanting place. "Changeling" (2008) A bizarre true story from the 1920s becomes discordant melodrama in Eastwood's meandering Angelina Jolie vehicle about a Los Angeles single mother's hellish ordeal trying to prove that the boy returned to her by the police isn't her missing son. Injustice, corruption and serial killing prove too much for the director's laconic style. It's three noir movies rolled into one draggy, blankly dark mess. "Jersey Boys" (2014) There are elements to admire in the unlikely match-up of Eastwood and a toe-tapping Broadway musical about the Four Seasons, namely a few performances, and a certain grim tinge to its tale of showbiz climbers. But mostly it feels, strangely, both rushed and listless, stuck between pleasing nostalgia fans and rooting out grit and discomfort wherever possible. It's also visually bland and clichéd about its emotions, two rare descriptors for an Eastwood movie. And the 5 best, startng with... 5. "Bronco Billy" (1980) Eastwood's foray into old-fashioned screwball comedy -- there's even a madcap heiress (Sondra Locke) -- is really his first attempt at tweaking his tough-guy image, and it's his sleeper masterpiece. Turning a ramshackle, cash-strapped wild west show run by convicts of all colors into a warmly funny vision of a be-who-you-want-to-be America, Eastwood serves up a conservative's vision of the country that's inclusive, patriotic, and able to laugh at itself. 4. "Letters From Iwo Jima" (2006) After "Flags of Our Fathers," Eastwood explored the same battle from the Japanese perspective, and -- to many people's surprise -- in the Japanese language. The result is a potently human, unflinching, and deeply felt evocation of how battle is fury, but war is a shroud asphyxiating the soul. As it monochromatically slides from the crisp daylight of preparation to the woozy gloom of tunnels full of doomed soldiers, it becomes Eastwood's purest, least sentimental vision of his most longstanding themes. 3. "The Outlaw Josey Wales" (1976) Marked by Bruce Surtees' exquisite cinematography, Eastwood's post-Civil War vengeance saga -- in which a Missouri farmer (Eastwood) turns hunted renegade after Union soldiers slaughter his family -- becomes a sly episodic Western about the hard, bloody road to peace. Moving easily between action, melancholy and humor (Wales' spitting on people and dogs is the stain of war made darkly literal), it's Eastwood's first great exploration of violence's psychic toll. 2. "Million Dollar Baby" (2004) A poor young female boxer (Hilary Swank) wants to fight. The trainer (Eastwood) reluctantly trains. Punches await, small, and huge. 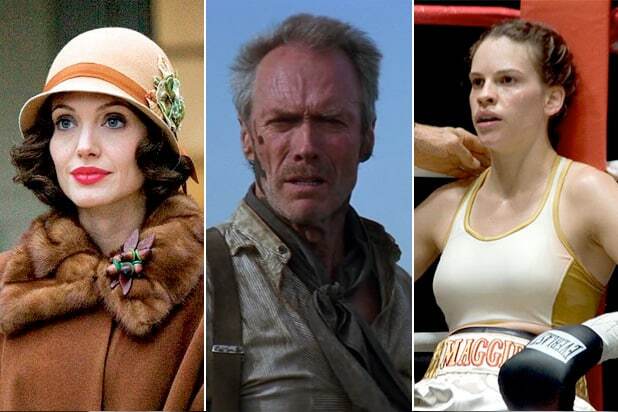 An unabashedly rich-in-feeling movie about toughness, sacrifice, regret, and life on one's own terms, it's Eastwood wrenching the boxing picture from the triumph-of-the-spirit treadmill and introducing it to the abyss. That doesn't mean there isn't verve, humor and sentiment -- its character interactions are fleet and jazz-like -- but its beautiful soul is in the shadows. 1. "Unforgiven" (1992) Eastwood held on to screenwriter David Webb Peoples' revisionist Western until the time was right, and the result was an Oscar-bestowed turning point and his best movie. Evocatively, suspensefully detailing a desperate widower's reckoning with his savage past, it tracked powerfully as both a pungent deflating of merrily violent western myths and a scarily tense depiction of how, as Eastwood's killer tells a scared young man, "We all have it comin,' kid." By the end, each gunshot is Eastwood mercy-killing a genre he loves, and knocking us to our senses about bloody movie justice.